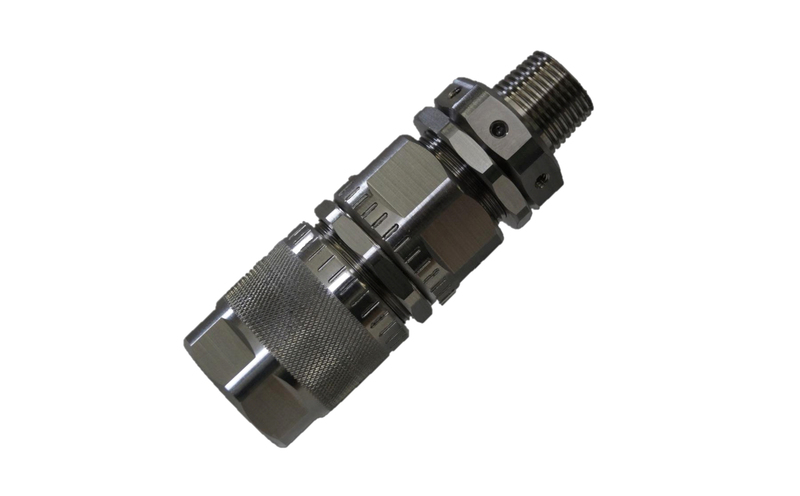 “Reverse Flow Cavitating (RFC) Nozzle” is capable of out-performing submerged operations. Our RFC Nozzles create the Cavitation phenomenon inside the nozzle. Scientists and engineers have known for some time that the combination of water and air (Cavitation) drastically improves the performance of cleaning and deburring equipment. In today’s markets, “Submerged Cell Operations” have become the standard of many industries. VLN Advanced Technologies patented Reverse Flow Cavitation (RFC) Nozzle is capable of out-performing today’s submerged operations. Our RFC Nozzles create the Cavitation phenomenon inside the nozzle. The result is a controlled stream and pressure for precise targeting and exceptional performance. VLN Advanced Technologies offers several types of cavitation nozzles, our most advanced being called the Reverse Flow Cavitation (RFC) nozzle. This nozzle functions in fully submerged conditions and also in air. Buy our conventional RFC or let us custom design one for your special uses. Either way, call us today so we can help provide you with the right system for your needs!